Thread to discuss Dates, Status voting etc for 2018. --- Robert Thiele, Germany (for Czech Republic, Germany, Switzerland, The Netherlands, Finland, Sweden). Format: like -> hybrid / giant slalom / special slalom / super giant slalom etc. Info: briefly, additionally information like website etc. Notes: I attended this race in 2017. The courses are typically set with long distances between cones to minimize toppled cones and to encourage downhill skaters and longboarders to enter. Top speeds are at least 35 mph (>55 km/h). The setting is beautiful, in a location surrounded by tall trees. This race is a ripper! Plans are to run the race as it was run in 2017: Saturday dual-lane TS at Tower Grove Park in South St. Louis, Sunday single-lane HS and GS at St. Louis Community College at Florissant Valley. Tower Grove is already approved and permitted, SLCC-FV is awaiting approval. We'll take whatever status we're given, although we prefer to avoid the larger ones! The first sk8 slalom race of year 2018 is going to take place at 24th February 2018 in Creative zone DEPO 2015. Let’s see how the racers endured the celebration of New year and Christmas. Come and meet us in hall of Creative zone DEPO 2015. The hall will be heated and there's a snack bar. There will be a single lane start and track with one turn. Also the number of cones will be reduced due to size of hall. Start from s-shaped ramp, time is counted by electronic time system with switch tape (racer have to ride over it). This race is an OPEN race so anyone can come and participate – as long as he/she fulfill the safety requirements and pay the starting fee. Racers have to use protective helmet, other protection is recommended. Start at this race is at your own risk, accident insurance is recommended. Expected end about 15:00 - announcement of the winners. Calendar is up to date. 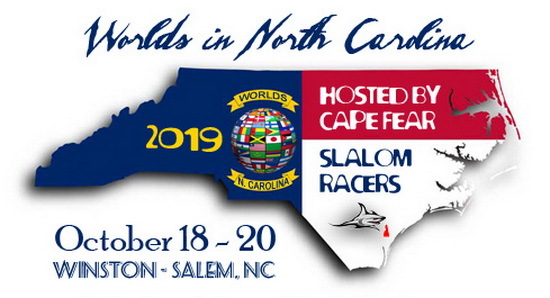 Contact: hubbyishandy@gmail.com Will Fogel and "Kind Skate"
Just confirming - the submitted sanction request for US Nationals major status has been reviewed and approved by the North American status marshals. Sanction fee has been paid by the organizers to ISSA paypal account. Patric - can you please update the master calendar with this info? There is a event page established on facebook and an event flyer also. Organizers are preparing an event website - coming soon. the calendar is up-to-date now. @Maria: I send a request to Corky, the status will be approved soon. As this is the official Swedish Championships, I assume only Swedes can enter (or at least win) this event. All Races at Pumpstation (San Diego) unless otherwise noted. Potential collision with the Euros in Madrid here. They have reserved both this weekend and the one following as they haven't received their authorization yet. Last edited by Maria Carrasco on Thu Apr 12, 2018 9:36 pm, edited 1 time in total. We are going to hold four special contests in the Czech Republic all with basic status. Their specialty is that we come up with the new H2H battle system which we named Find Your Bruno System H2H (FYB H2H). If you are interested in learning more about this new system you can ask Robert Thiele or come to our contests or Petr Janousek. All name of contests have the abbreviation FYB at the beginning. 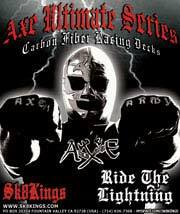 The reason for this is to tell the riders that this contests will include FYB H2H battles. Here is the info for the 2018 KHRT Outlaw Slalom Series. The rest will follow asap as I am experiencing soft ware issues. So hang on. There was a bug in the SoCal Series #3 event so I fixed it. As Prime Candidate. Also added the 2 Main events "West Coast Champs" and "Hobby Park 5". Both now set to Main status. Thank you for adding our events. One question - could you please move Moscow City Race #9 (prime candidate) to 8-9 of September? (Organizer decided to do it a bit earlier to have more time before Madrid Main). We'll send appropriate sanction form to the marshals soon. here is the changed event. If the fees were payed I don´t see a problem in switching the weekend and keep the status it is still five moths ahead. Edit: No sanction fees for Russia this year, these apply only for Europe and USA. Make sure you remove (or better temporarily cancel) the Grenoble event, so that it's visible and clear in the calendar. There will be also a miniramp, streetskate action, many other activities, live music and much more - no entry fee!!! Food and drinks can be bought there. In the evening we move to the old town of Mönchengladbach, there will be a big party in a nice club location - "The Box". Entry fee there is 5€ - and at this special evening 100% of this money is for supporting the ROLLBRETT Union e.V. San Diego, CA, either on a basketball court or at the same location as the 2007 Record. I followed up on the date change for the World Record attempt. I posted on "thread to discuss dates" on June 8, that we needed to move the record attempt to July 1 because we can have better attendance, including my best helpers. Can you please update the calendar? Next time you only need to post Name, Format, Date, Location, Sanction desired, Organiser and Contact. The rest of the application needs to be sent to the race marshals. Unfortunately I haven´t subscribed the other topic and therefor I did not see your post in time. I wish you much success breaking the record. Our Cornwall Classic 3 / Canadian Championships for 2018 are now going to be run as an outlaw event. We are holding 2 events minimum TS and Hybrid races for sure. We will run a third course on an adjacent path as the GS venue. July 21 is the one day event and the 22nd will be the rain date. These will all be single lane races. Ever wonder how you racing would stack up against other in other part of the world? What to see if you can beat Janis Kuzmins, Joe Maclaren, Jeremy Coffman or Viktor Hadenstrad? Well here is you chance. 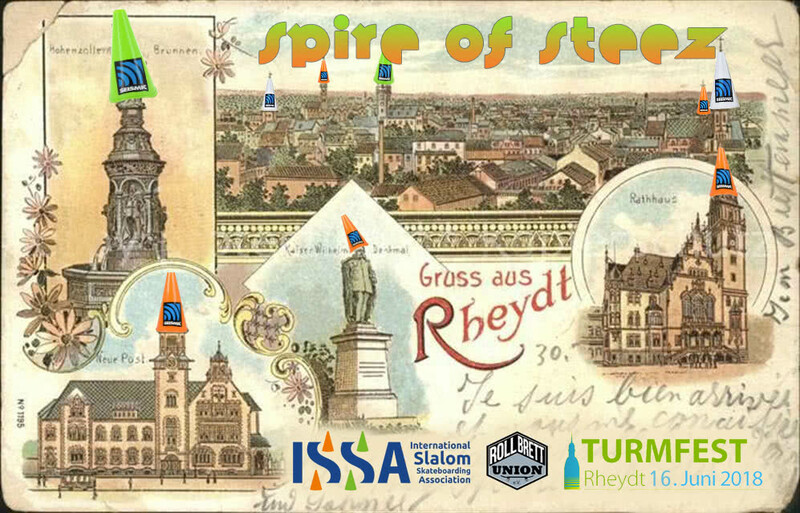 Announcing the ISSA sanctioned world wide Cyber Slalom race!! You must have a flat surface; you will need 25 cones and a time that is capable of starting and stopping when the skateboard crosses the line of start and finish. The timer must be accurate to at least the 100th of a second. Draw a box #feet (.9 Meters) by 3 feet (.9meters) Set the start switch at the end of the start box. Set you 1st cone 15 feet (4.572M) on center set the rest of the course six feet (1.8288M) on center in a straight line. After the 25th cone measure another 15 fee (4.752M) draw another box the same as your start box. Put you stop switch at the front of this box. So now you run this course each way and then average the two fastest times. If you hit any cones or pull out it is a dq. Only clean runs count. All times will be up loaded onto Facebook, Our Official time keeper Stephen Blane will be providing a web based spreadsheet where every one can choose their class and enter their time. Please make sure to take video, although not mandatory it is encouraged, plus it's cool to watch everyone going for it. Also picture of all your racers are encouraged. This is the Second year of the Cyber slalom as an internet race. Right now the Fastest time was posted by Michael Dong of 8.16 seconds! Once again the ISSA has sanctioned this event as a basic status. Cyber Slalom still going on till the 21st.